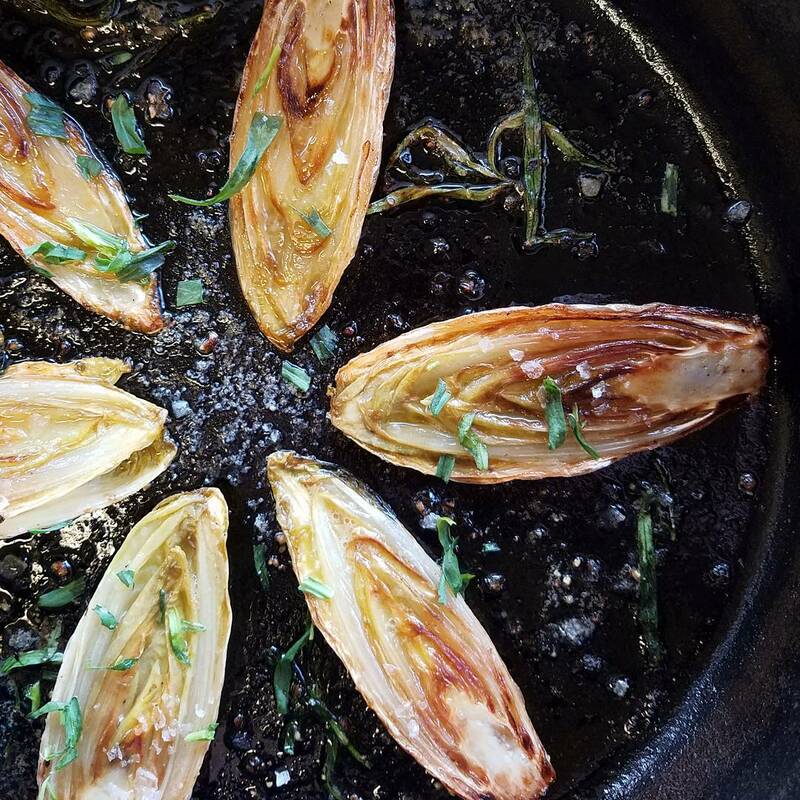 I will admit (way) back in culinary school I had no idea why anyone would ever want to braise Belgian endive. "It's just lettuce." I thought. Then over my many years of cooking I've realized endive is so much more than "just lettuce." First of all, it's not just lettuce. It's in the chicory family, the same type of green as frisee, raddichio, and escarole. Chicory leaves, buds and roots all have specific beneficial qualities such as aiding in digestion and boosting immunity. Secondly, endive's pleasant bitterness and naturally sweet, nutty flavor pairs perfectly with brown butter and lemon. Raw or cooked it's straight up delicious. Don't underestimate these little beauties like I once did.